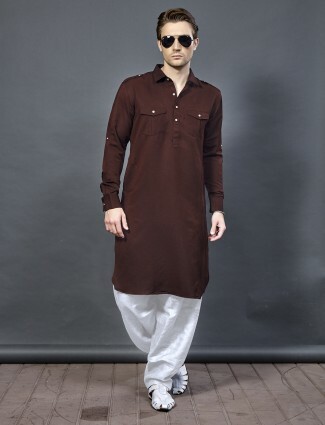 Basic kurta and pyjamas just with a pathani style kurta kameez are what we find most men wearing today. 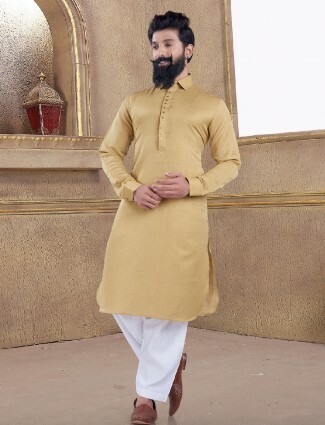 Shop for the latest pathani suits for men in all sizes and colors ranging from rich elegance to minimalist sober styles for sangeet, mehndi, pujas and other events. 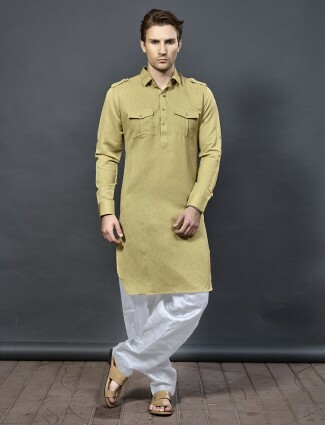 Pathani suits are variants of Kurta Pajama but inherited style muslim culture of countries like Afghanistan, Pakistan and also some places of India like Kashmir were the trend of pathani suit fashion is still at hyped and we see this in Indian mens fashion wear today. 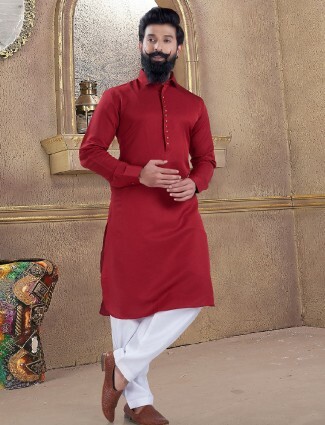 From Latest pathani suit designs which are as per contemporary fashion to classic pathani suit styles, we at G3fashion have brought together some of the most demanded patterns for men. 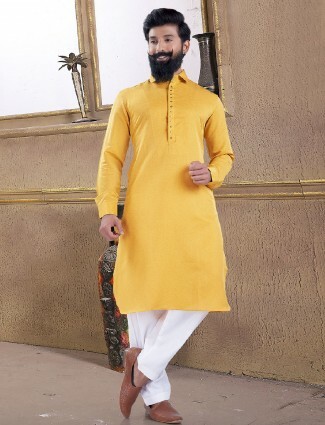 Buy pathani suits online for festivals, casual looks or parties and wedding occasions. 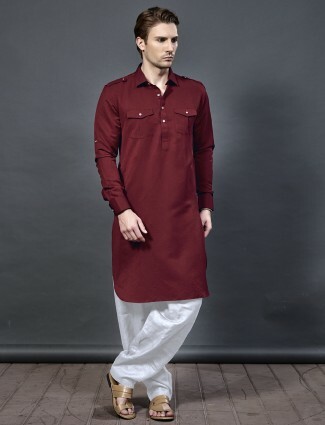 These styles are simply in kurta which have a pathani collar and placket, that’s a flap collar, and may have a placket with buttons or no buttons and a simple V-cut. The sleeves are full sleeves with cuffs like a shirt. 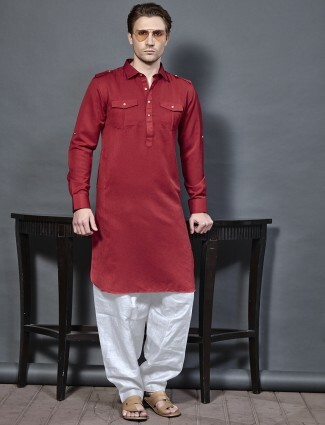 The kurta has side cuts and normally cuts at knee length. It’s paired with a shalwar for men or known as regular pajamas. 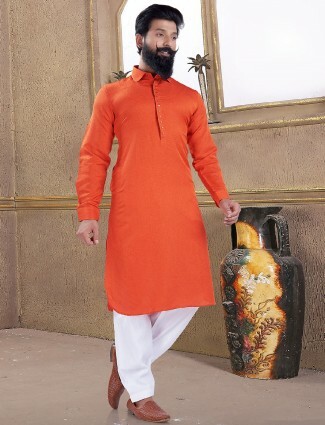 But when it comes to G3 Fashion, we have more styles of pathani suits for mens wear in different styles of pajamas, kurtas, placket style, collar,s plain, printed or embroidered styles. Now men’s ethnic wear has also changed with time and from classic styles there are always fusion wear and contemporary styles trending. We bring same pathani suit for party or pathani suit for wedding in all sizes for men from S to XXL and plus sizes too. 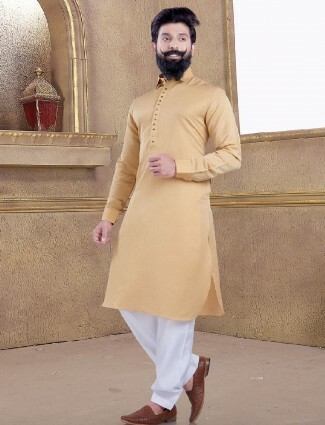 Find your pathani suit for mens online in designs of cuts of hemline or collar designs and also which can be paired with jackets, nehru jackets or pathani kurta and waistcoat. 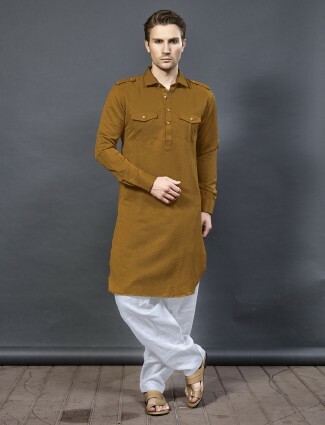 Styles latest pathani kurta styles with from our collection which are in shorter pathani kurta styles or a regular one, with a Nehru jacket or a jeans and a blazer to get all those eyes turn your way for the perfect pathani suit party wear look. Experiment with printed styles or designer wear pathani suit designs which work well for wedding and festival wear. 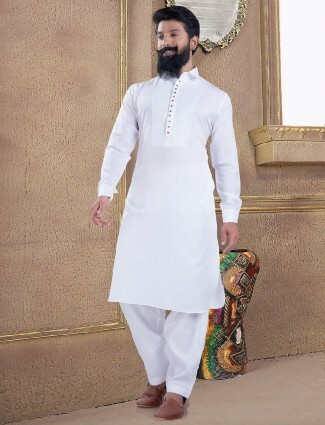 Pakistani pathani suit for men are the classic styles which are worn with a regular shalwar and say neutral colors like a white pathani suit being the most common design worn. 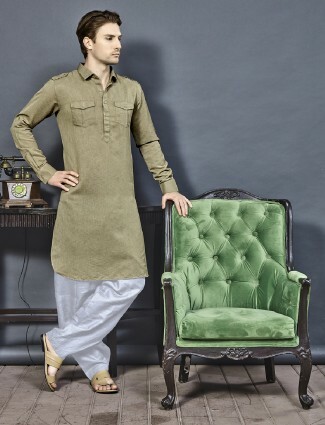 The Pakistani pathani suit for men we have also has the common chest pocket style in kurta and may have little embroidered thread edging on collar and placket. Apart from the White pathani suit for mens to style and Black pathani suit for men, we have stylish colors like red, blue, yellow, green, orange pathani suits and many more. 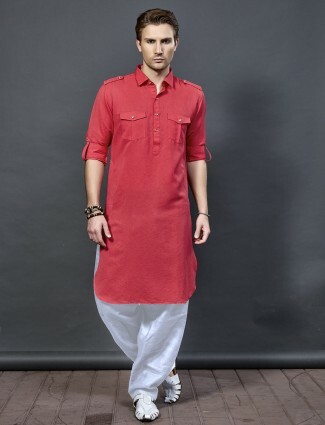 Some are in same colors of bottom and kurta and some may have different kurta and bottom color. 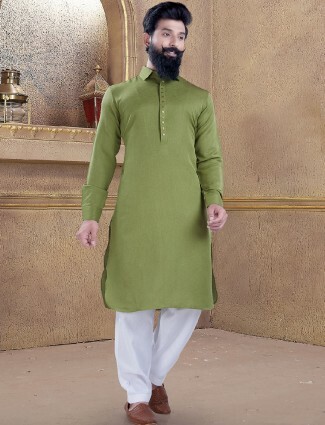 Pathani Suit for Wedding Wear at G3fashion Online. Buy pathani suit online to find new styles and all kinds of required designs only available at G3 Fashion. Style the wedding look with Pathani suit for mens with Jacket which is a nehru jacket or a waistcoat. 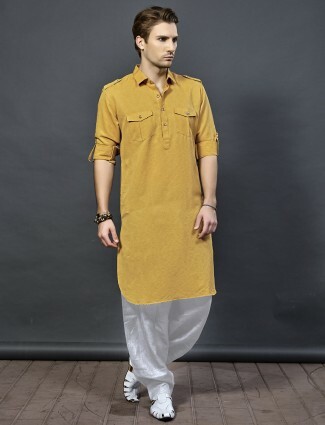 The new looks also involve styling a short pathani kurta with a Blazer and pants to look a indo western look for weddings like wedding party, sangeet or even a reception. 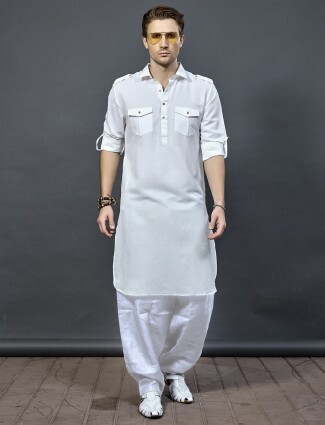 Choose white pathani suit for this styles just like wearing the kurta instead of a white shirt and style the indo casual look. Remember at G3 Fashion we give you best services to shop online from alterations, customised tailoring options for made to order designs, various designs in pathani suit as well as world wide shipping for our customers from all over the world. 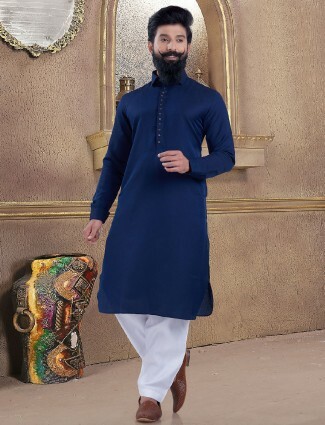 G3fashion.com is your best shopping website to shop for mens ethnic wear from India in latest designer wear for wedding functions, for grooms, and guests, for parties and festivals. 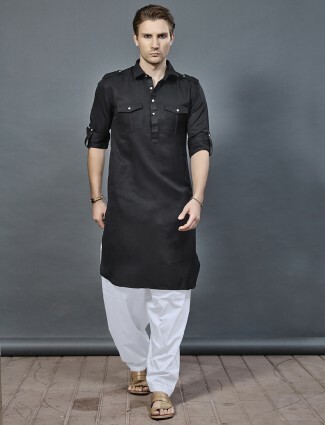 Dress your best mens celebrity look with Styles we hold in Black pathani suit like Shahrukh Khan or Ranbir Kapoor. 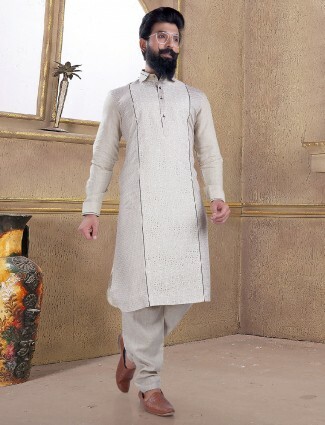 Pathani suit for men in bollywood style which may be in fabric choices of plains, colors like grey, black, red or blue and also from sequin fabrics to regular silks. Look different in your choice for pathani suit kurta in embroidered buttas in minimal or a kurta with work buttis on yoke or all over. 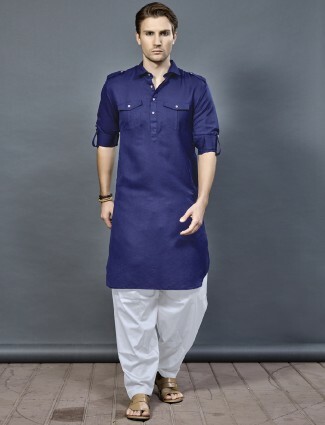 Try the overlapped opening pathani kurta suit or a asymmetric hemline look in pathani suits for men. Our collection is not just limited to hemline cuts and placket styles but also have different pattern cuts of pathani kurta. Some in a regular button opening to some with one side button opening in dominating buttons, some with a front side slit look and some in high low kurta look. We like to offer more variations of pathani suits for men to shop online without compromising their possible looks and can easily experiment their styles.